The Land Transportation Franchising and Regulatory Board (LTFRB) announced the additional P0.50 centavos on jeepney fare for all PUV commuters. 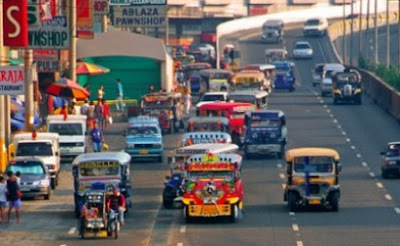 The fare hike will start implemented on Wednesday, March 21, 2012. LTFRB chairman Jaime Jacob said, "the fare hike will be effective Wednesday morning." According to the report, some transport groups are asking for P2 pesos increase from the minimum jeepney fare today. However the LTFRB implement the provisional fare hike while the petition filed by some group to seek P2 increase was still hears on court. LTFRB chairman Jacob promised that the P0.50 centavos increase will remain implemented if the diesel prices stay high. But once the prices went down to P45 per liter, the drivers and operators are required to roll back it to the minimum fare. Comments or suggestions about "Jeepney fare increse P0.50 on Wednesday" is important to us, you may share it by using the comment box below.